The Baltimore Architecture Foundation is happy to close this eventful year by announcing our new logo. The logo represents the evolution of the BAF over recent years, spurred by the incredible growth of the organization beginning with the realignment with AIA Baltimore five years ago. Since then, we’ve added staple programs like Doors Open Baltimore, expanded education programs and scholarships, initiated new research and publication efforts, and grown our audience. In fact, we couldn’t be more excited about what the future holds. We are working to launch the Baltimore Center for Architecture and Design to serve as the new headquarters for BAF and AIA Baltimore in conjunction with like-minded organizations. The Baltimore Center for Architecture and Design is envisioned as a forum to convene and foster dialogue, learning, and advocacy about architecture, design and the built environment. Thank you to BAF President Rob Brennan, AIA, for his leadership. And please welcome 2019 BAF President Dina Markakis! Morgan State University, winner of the Golden Griffin Award. Photo Courtesy Side A Photography. Morgan State was selected based on the University’s significant contribution to Baltimore’s built environment through its historic campus (designated a National Treasure by the National Trust for Historic Preservation) and new buildings, as well as neighborhood revitalization through programs such as the Morgan Mile; and in recognition of the University’s 150thanniversary in 2017. The history and role of Morgan SA+P and CBEIS in educating the next generation of architects, and contributing to diversity in the design professions, is a very important part of this award. 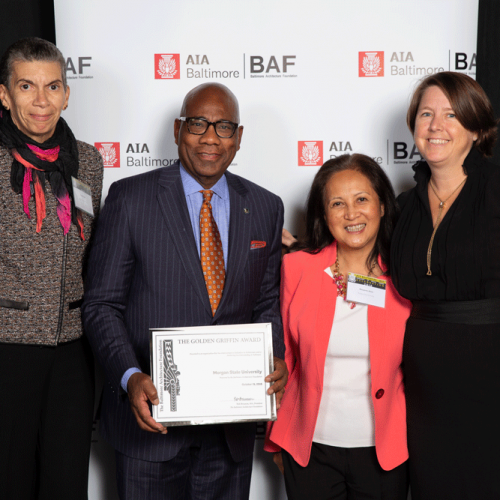 BAF’s Golden Griffin Award is presented to an organization that has demonstrated a dedication to Architecture and to furthering its understanding in Baltimore. 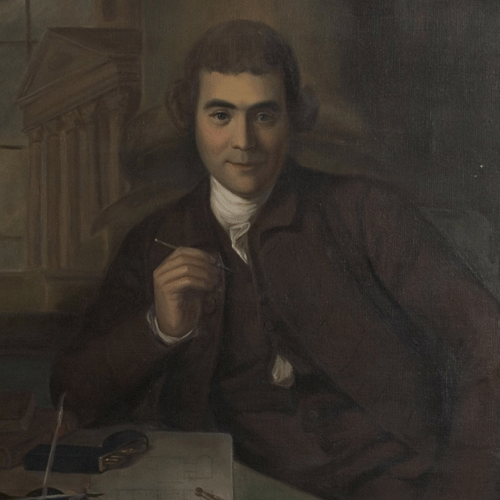 Mr. Humphries was selected for significant contribution to Baltimore’s architecture and built environment through scholarship and publication on Baltimore architectural history; outstanding leadership with the Mount Vernon Place Conservancy and key role in the restoration of the Washington Monument, as well as numerous contributions to advance the Baltimore Architecture Foundation and its mission. The Roger D. Redden Award is presented to an individual who has demonstrated a lifelong dedication to Architecture and to furthering its understanding in Baltimore. The BAF started the year with a bang with its annual Groundhog Day Party and Fundraiser, this year held at the history Marble Bar. The long-shuttered underground punk venue, that in its heyday saw the likes of Iggy Pop, REM and Baltimore’s own Edith Massey perform, proved to be a major hit—selling out and drawing a new audience of people looking to relive the glory days. DJ David Koslowski spun Marble Bar favorites from the ’70s and ’80s, and guests enjoyed catering from La Cuchara and WC Harlan. It proved to be the most popular Groundhog Day party yet and a fabulous fundraiser for BAF programs. The Spring Lecture Series celebrated its 40th anniversary through the theme of Empowerment, Access, Co-Creation and Ethics—exploring how design can be a vital and powerful catalyst for social change. Globally recognized scholars and designers spoke to each part of the theme to audiences of hundreds of attendees at the MICA Brown Center. Find recordings of the lectures on the Spring Lecture Series Vimeo page. The FAR committee continued to bring architecture and design into K-12 classrooms through its participation in career and STEM fairs, family-oriented workshops, and the Adopt-A-School program. During Doors Open Baltimore, the FAR committee collaborated with the Baltimore Museum of Industry on an architectural workshop for children. The committee honored four projects with 2018 FAR Scholarship Awards, providing scholarships to talented community college, undergraduate, and graduate students pursuing architecture degrees. 2018 marked the fifth year of the program. The 9th Annual BAF Schamu Golf and Auto Classic was held on June 19, a beautiful day of golf with the added excitement of a sudden and swift summer storm. 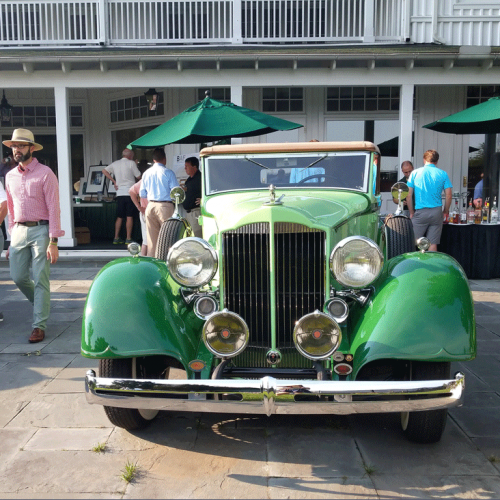 After golfers hit the links, guests arrived for the classic car show and cocktail reception on the Elkridge Club’s wide porch accompanied by music by the Trinidad and Tobago Baltimore Steel Orchestra.. The program raised over $25,000 for BAF programs, including Doors Open Baltimore, architectural tours, lectures, exhibitions, publications, awards, and public outreach and education programs. Sumayyah Raji, one of the award recipients. AIA Baltimore’s Fellows and chapter leaders gathered for the Fifth Annual AIA Baltimore & BAF Fellows Dinner to celebrate the elevation of Steve Ziger, FAIA, to the AIA College of Fellows, while raising $5,000 for the AIA Baltimore/BAF Fellows Leadership Award. The award supports BSAED students at Morgan State’s School of Architecture + Planning with the purpose of fostering the next generation of leaders in the profession. 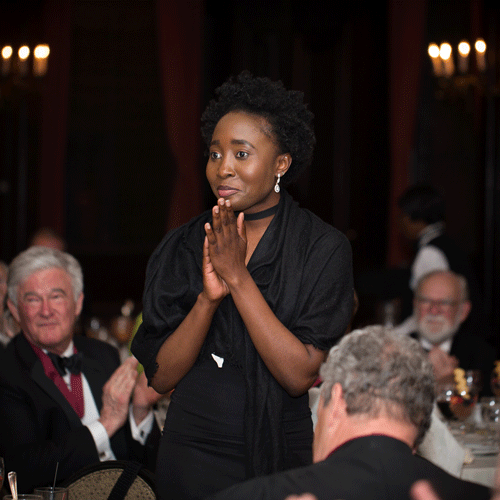 Recent awardees—Brian Helfer, Jr., Sumayyah Raji, and Ginkachi Eburuoh—were honored at the dinner. The dinner featured guest speaker, Marshall Purnell, FAIA, former president of the American Institute of Architects and the National Organization of Minority Architects, and principal of Devrouax & Purnell Architects/Planners for 35 years. 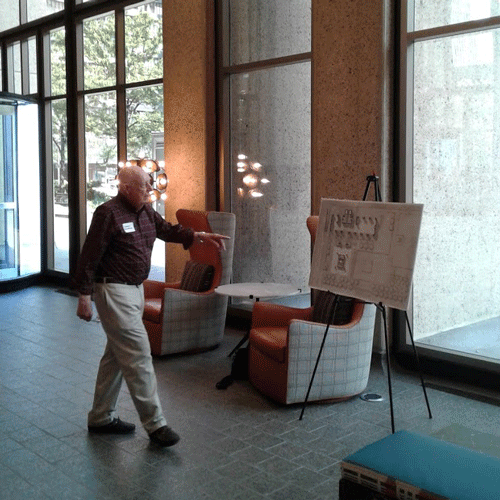 The Baltimore Architecture Foundation collaborated with the Downtown Partnership of Baltimore on a series of downtown building tours, including 2Hopkins and 225 N. Calvert Street. The purpose of the tours was to highlight the transformation of Downtown Baltimore through its new and adapted buildings, while inviting architects to speak to the public about their work. Doors Open Baltimore celebrated its fifth year by expanding open houses to the full weekend. This year’s event included 64 buildings to explore across the city and nearly 40 guided tours. 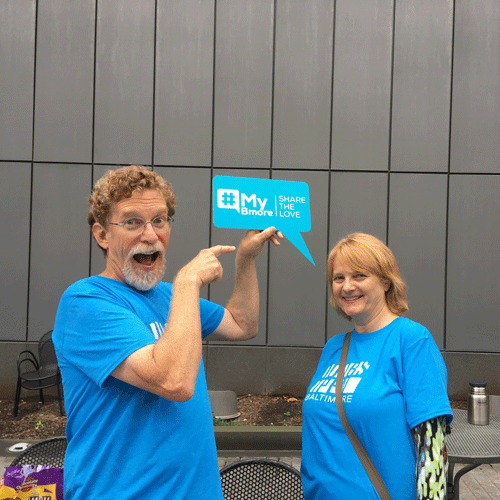 Doors Open Baltimore 2018 reached 10,000 visits with the help of over 130 volunteers. The Doors Open Baltimore Kick-Off Lecture featured Kate Wagner, architecture critic and writer of the popular McMansion Hell blog. Her “Quick n Dirty Guide to Looking at Buildings” sold out Falvey Hall at the MICA Brown Center and was live-streamed to over 1000 viewers. A recording of the talk is available on Youtube. Baltimore Architecture Month began in October with Doors Open Baltimore and continued through the month with a fantastic variety of architectural programs hosted by many organizations across the city. Highlights include the Homewood architecture lecture series on the theme “Lost and Found”, an architecture history lecture at the First Unitarian Church by Dell Upton, Baltimore Heritage neighborhood tours, an architecture lecture series at Morgan State University, and an exhibit at UMBC on Cold War design exhibitions commissioned by the US Department of State. 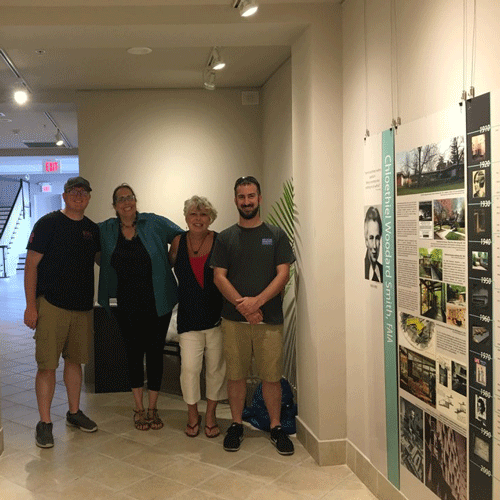 The Early Women of Architecture in Maryland exhibit headed east this year, first to the Eastern Shore and most recently in Havre de Grace. The project was featured on WYPR this summer with a segment on Victorine du Pont Homsey, who studied at the Harvard Graduate School of Design before they offered degrees for women. 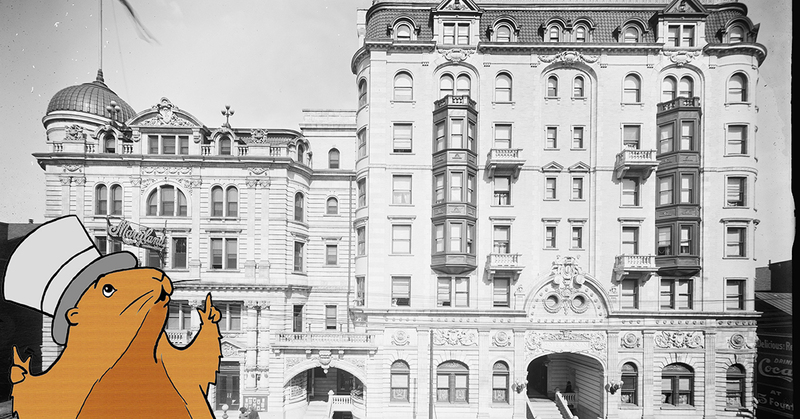 The stories of all twelve architects can be found on the Early Women of Architecture in Maryland website.